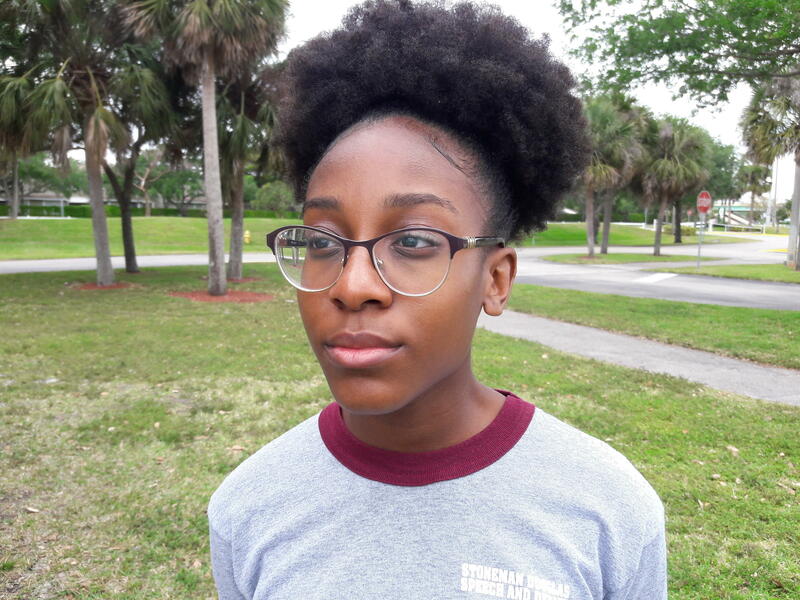 Tyah-Amoy Roberts is a junior at Marjory Stoneman Douglas. She say black students at the school have a voice and should be heard in the aftermath of the mass shooting. At Marjory Stoneman Douglas High School’s Black History Month Show, a student walked out on stage to read a one-page statement defending the Black Lives Matter movement. This part of the show was not rehearsed ahead of time, it was a last-minute decision by some of the black student organizers to respond to a letter that ran in the school’s paper. The black students planned on submitting their rebuttal to the school paper, but they also saw an opportunity to read their response at the Black History Month Show. 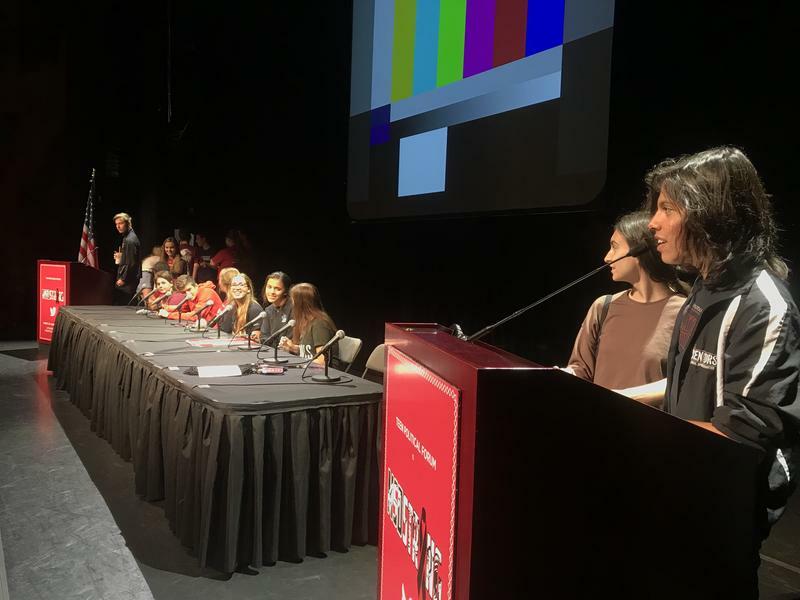 “The rebuttal was pretty much saying that that the Black Lives Matter movement is a respected movement,” said Mei-Ling Ho-Shing, a junior who helped plan the Feb. 9 show. She said she wanted to address the very real threat of police violence against black bodies. “Just because you don't have to experience it doesn't mean that it's absurd and ridiculous,” she said. The message wasn’t fully delivered at the assembly. A teacher had the speakers’ microphone cut off and asked the student to leave the stage before she could finish reading it. Kyrah Simon, a junior, was watching from the audience. “They just didn't handle it in the way that I thought would be compassionate to all the minorities,” she said of the school. 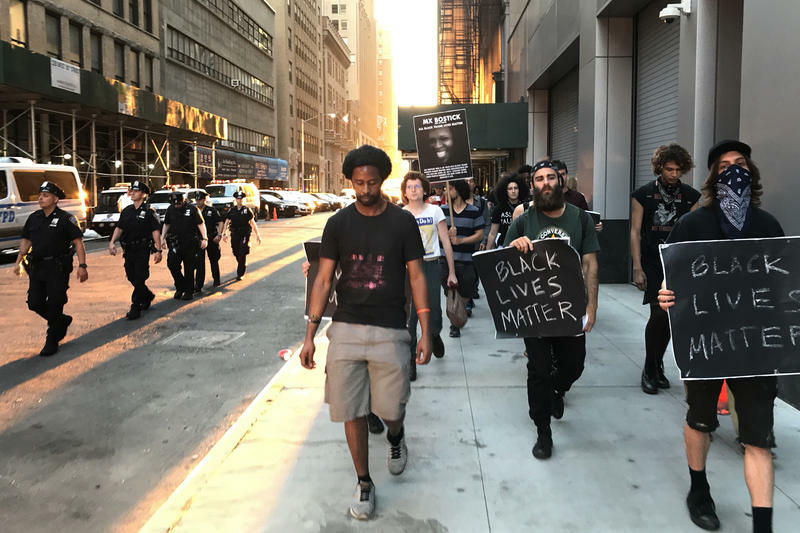 The Black Lives Matter statement was an unapproved presentation that was not rehearsed as part of the show, explained a Broward County Public School spokesperson in an email to WLRN. Mei-Ling said she felt like the way the school responded was a double standard. “It's painful to see that, you know, when we tried to talk about it, it was a problem,” she said. One week after the black history show, the school became the scene of the horrific mass shooting that would claim the lives of 17 students and staff members — and leave several more injured. In the weeks since the shooting, students from the school are being applauded for not asking for permission. They’re speaking out, walking out, organizing — making their voices heard. In a student population of 3,300 students, black students account for just over a 10th of the population, about 400 black students. Tyah-Amoy Roberts, a junior at the school who helped write the Black Lives Matter statement, said the media, her own school — and everyone else — should not ignore the black students who also survived the mass shooting and are advocating around gun violence in its many forms: domestic violence, neighborhood shootings and police shootings. It’s why she and some of her friends called a press conference during spring break, just a few days after attending the March for Our Lives protest in Washington, D.C.
She looked into the TV cameras and said youth activism around gun violence didn’t start in Parkland. 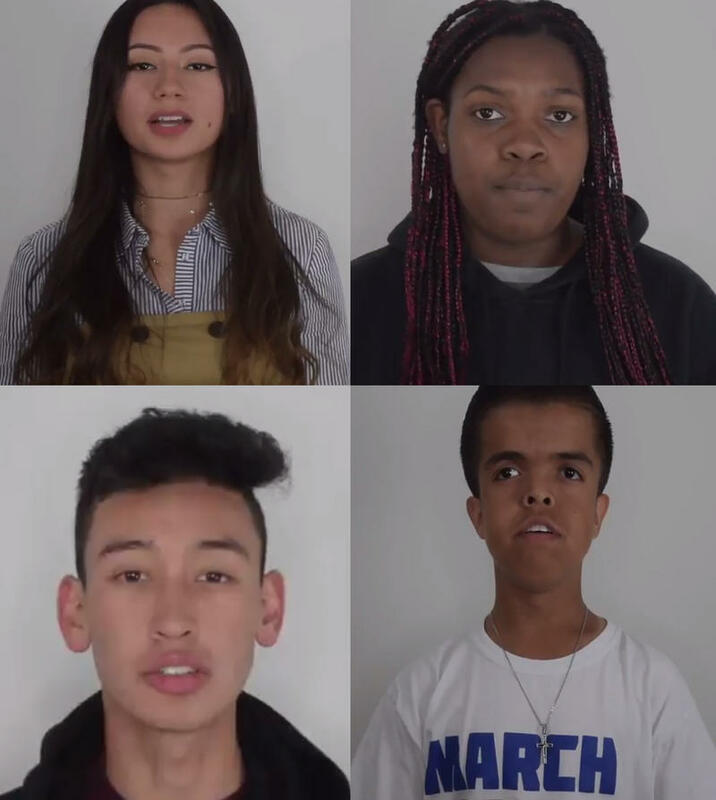 Black students from Marjory Stoneman Douglas High talk activism before and after the mass shooting at their school. The first of more than 800 March For Our Lives events in Washington, D.C., the U.S. and around the world took place early on Saturday on the island of Pohnpei in the Pacific nation of Micronesia. Here in South Florida, things kicked off, fittingly, in Parkland - which was the site of the February 14 mass shooting at Marjory Stoneman Douglas High School that killed 17 people and ignited the student-led #NeverAgain movement for stricter gun control and school safety. 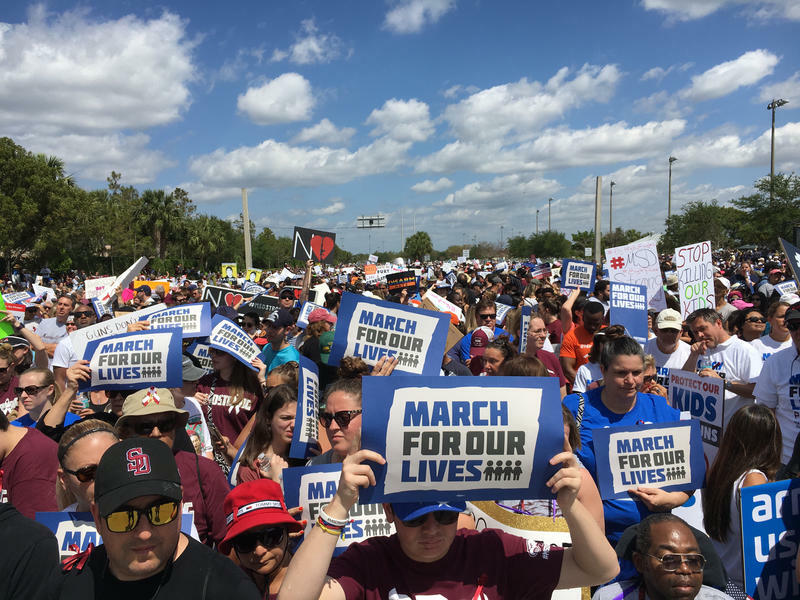 Marches were also held in Miami Beach, Boca Raton and Key West. Thursday, more than 1,000 teens attended the 12th annual Teen Political Forum at the Coral Springs Center For The Arts. The program is a night for teens to ask local city officials and Broward County School Board members their questions.